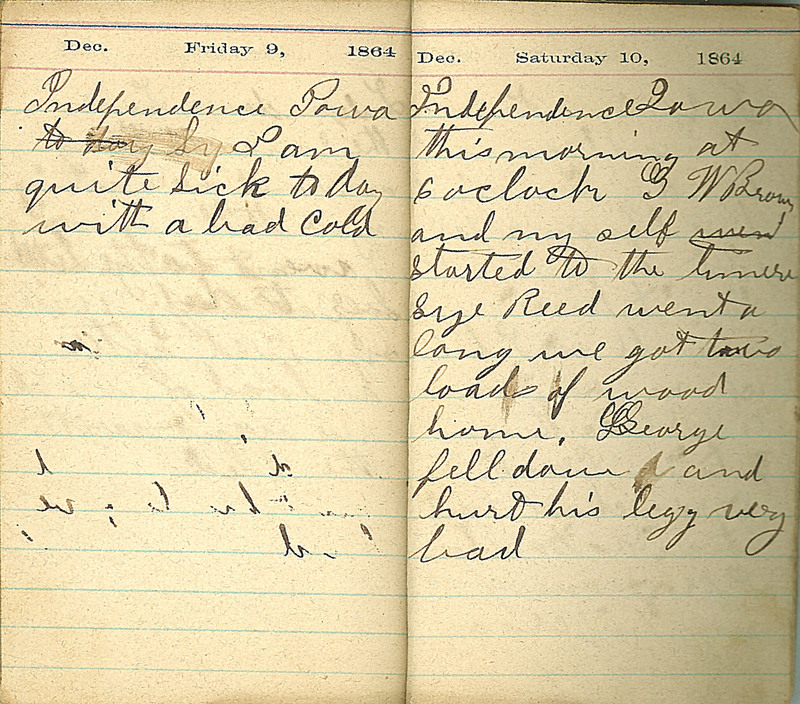 Dec. Friday 9, 1864 Independence Iowa I am quite sick to day with a bad cold. Dec Saturday 10, 1864 Independence, Iowa this morning at 6 o'clock G W Brown and my self started to the timber. Sye Reed went along we got two loads of wood home. George fell down and hurt his legg very bad.